About bus travel in Poland and how to buy bus tickets. This page relates to long distance buses. City buses are discussed in other sections. In many parts of Poland access is only by car or bus. Even then there might be a bit of a walk involved because cab service might not be available. People who live in the small towns and villages depend heavily on the buses for local transportation as well as transportation to the larger cities where they can get access to the trains. If you are traveling in Poland, you are likely to find that there is no train service into the town that you wish to visit. But you are also likely to find that there is some bus connection. In each of the major cities there is typically a large bus terminal. 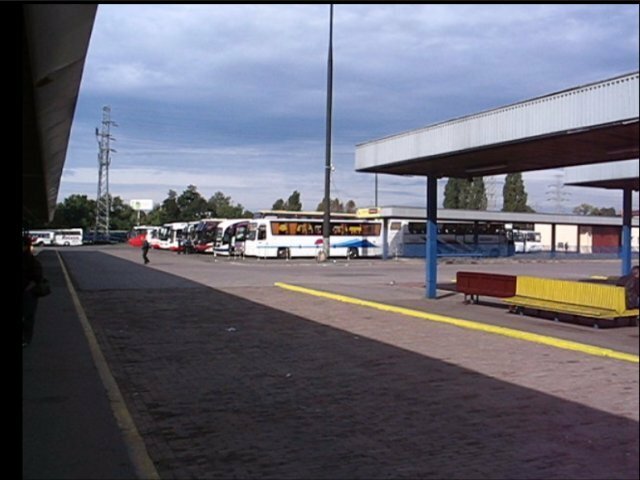 Below is a video of the Warsaw West Bus Station. The East Station video can be found via our video page. In Warsaw there are two main terminals one the East bus terminal and the other being the last bus terminal. For the most part to travel by bus you should understand Polish. There is no doubt that people will go out of their way to help you. But you might find yourself in some difficult situations if you do not speak Polish. Some of the bus services are very local in nature and you do not get reservations. So it is a matter of pushing and shoving at the entrance doors to get a seat. It's not like that all the time, but if you don't expect it and get into it, you might not be happy. On the lines servicing the more popular destinations, service can be quite good.